Our mission is to provide high quality, cost effective, efficient critical care services. We offer to the patient: improved quality of care; to the physician: increased span of control, improved accountability and a responsive working environment; to the hospital: reduced cost of care, increased profitability, and a leapfrog compliant ICU. The Intensivist Company provides support to hospitals and physicians in developing an Intensivist model that leads to successful implementation. The company is driven by evidence–based best practice guidelines and is measured by improved patient outcomes and increased volume. For more information, visit the Intensivist Consulting website. Intensivist Billing provides full service billing and seamless integration for both hospitals and privately owned physician practices. Our comprehensive menu of management services solves the dynamic clinical, financial information and billing service needs of critical care physicians. Our billing, coding and documentation education programs and regular chart review consultations enable our providers to have clinically and financially successful Intensive care programs. We assist providers in measuring, communicating and demonstrating to hospital administration the impact of a successful and well supported intensivist program and how that translates to patient quality of care and the to the hospitals bottom line. Our billing specialists are experienced, and unsurpassed in quality and performance. They have special expertise in critical care coding and are dedicated to meeting the individual needs of the client. We provide full–circle coding and documentation support for providers, enabling them to improve their records. We work hand in hand with practice managers and revenue managers. We ensure a smooth billing process with advanced and up-to-date technology including a web based billing system with EHR integration. Our process is designed to increase collections, eliminate red-tape and enhance the revenue stream. We provide our physician clients with education and continuous feedback so they can accurately document and code their services so that they can be reimbursed for the high quality of work they perform. Intensivist Billing has implemented a formal and comprehensive compliance program that follows the guidelines provided by the Office of Inspector General (OIG) as well as the Federal Sentencing Guidelines. For more information, visit the Intensivist Billing website. 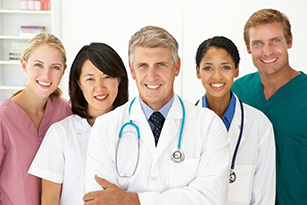 Intensivist Jobs specializes in Intensivist staffing nationwide. Like the physicians we place, we are specialists. We understand the highly specific staffing needs of institutions, as well as the highly specific professional needs of our candidates. Our exclusive focus on Critical Care staffing means that we can match candidates to institutions far more effectively than large generalist firms. It also means that you get personal, partner-level attention to help with your search. Comparison of your opportunity with Market needs, industry trends, manpower availability and best practice guidelines within Critical Care and HR. Pre-screened, pre-vetted candidates: Each referred candidate ids presented with a complete review of their training and credentials, as well as personal, family and lifestyle needs. We focus in each candidate’s cultural fit and potential retention. Candidate references are fully checked and verified on a physician to physician basis. For more information, visit the Intensivist Jobs website.